This picture shows a 1915 version. The actual model name is unknown. 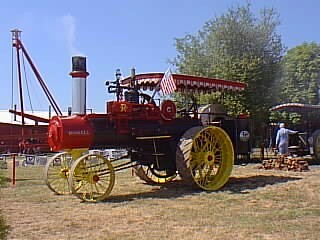 Russel got into the gas tractor business in 1909. The "lightweight" verions came out in 1915 with 3 different sizes available. These were rugged tractors.